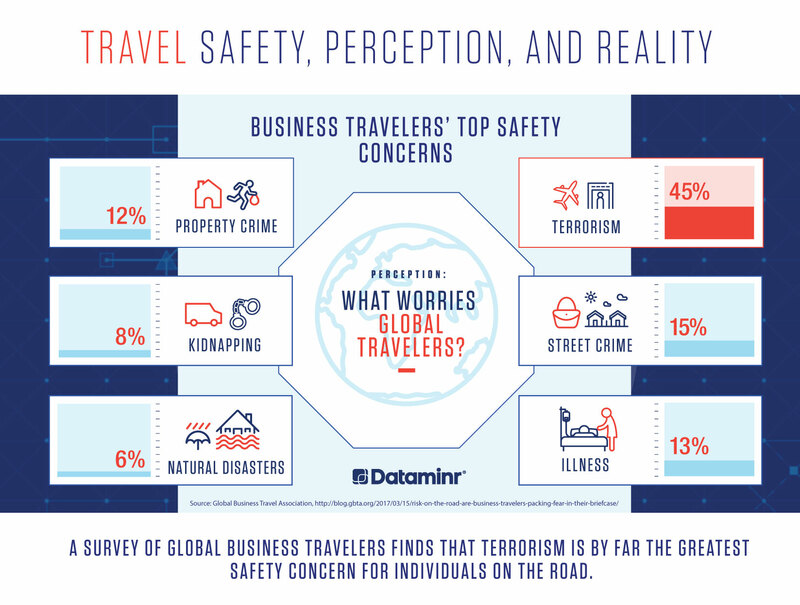 Do business travelers’ top safety concerns match up to the highest travel risks? 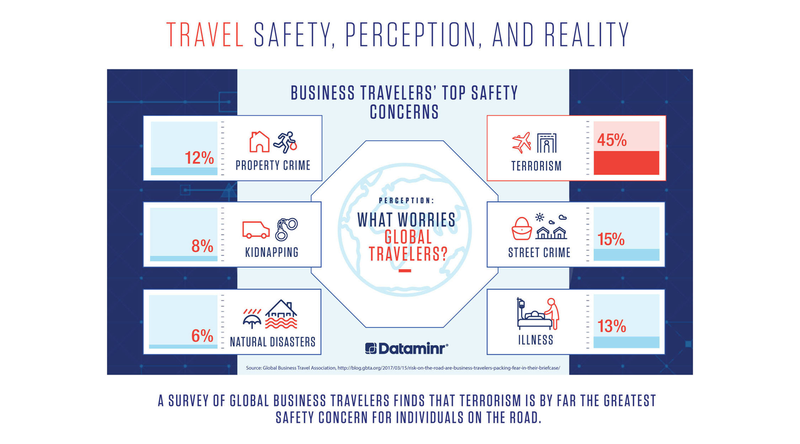 This infographic compares perceived threats and real threats, illustrating how travelers' concerns of high-profile events, such as terrorism, often overshadow other, more likely hazards that may pose bigger risks to their safety. 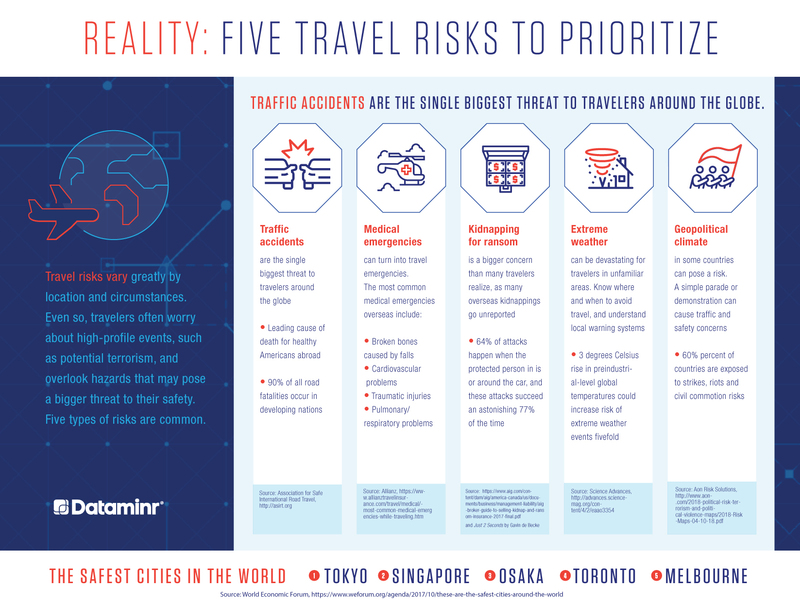 Corporate Security infographic on building a culture of security.